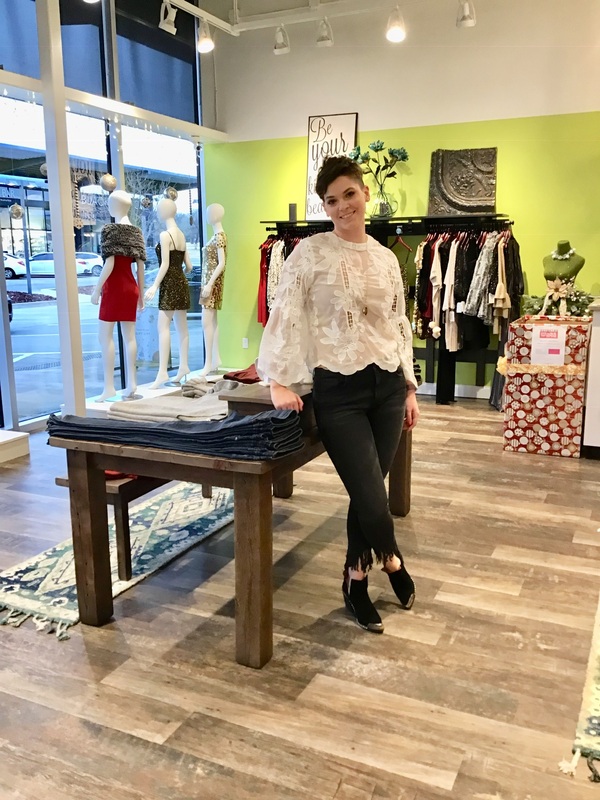 Valentine’s Day is approaching and Classen Curve is here to serve you as your personal stylist and find the perfect women’s clothing for the holiday. Whether you’re going on a romantic date or out to celebrate love with your best friends or family, you’ll look cute and polished in these lovely looks. You deserve to look and feel your best and these looks are hand-picked for all styles. You’re sure to find one you love here at Classen Curve. This first look is chic and stylish but comfortable. These black faux leather Spanx leggings with a white side stripe are slimming and stylish and show off your curves. They feature a high waisted design to hold you in and smooth out any imperfections. They offer great coverage and create a sleek silhouette, perfect for looking your best for your love! Spanx leggings can be paired with any look and offer comfort, style, and quality at a reasonable price. These leggings are paired with classic black pumps to elongate the legs. On top, we’ve paired the look together with a gorgeous silk tube top featuring a bold bow design. The red color is sure to impress. This top shows off your shoulders and leaves room for fun accessories of any style. You can be bold or simple with this versatile top. The second look features a beautiful cream Bishop and Young blouse. The lace detailing is romantic and perfect for a casual night out. The color is a perfect backdrop for a bold necklace or earrings, but even without the detailing stands out on its own. We’ve paired it with classic black Mavi jeans but with some unique details. The cropped length shows off your shoes and the fringe detail adds interest to the look. Classic black wedge booties tie the look together and give some height to the silhouette. This look can be paired with many types of accessories and dressed up or down for any occasion. All these pieces can go well beyond Valentine’s Day and be paired with many other trendy or classic pieces. 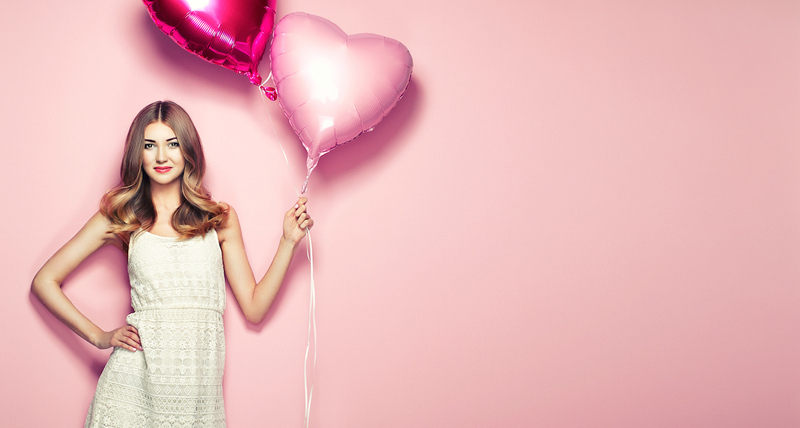 Most of us think pink when we look for Valentine’s Day-related women’s clothing looks. This Elan sweater fits the bill perfectly. The braided detailing adds visual interest and the soft knit fabric is comfortable but super stylish. These classic blue Mavi jeans keep the look casual and the cropped length will take this look from February right into spring. The shorter length is perfect for showing off fun shoes, like these open-sided booties. The detailing on these shoes ties into the gold jewelry paired with this look. This bold longline necklace brings the eye up and ties the look together perfectly. 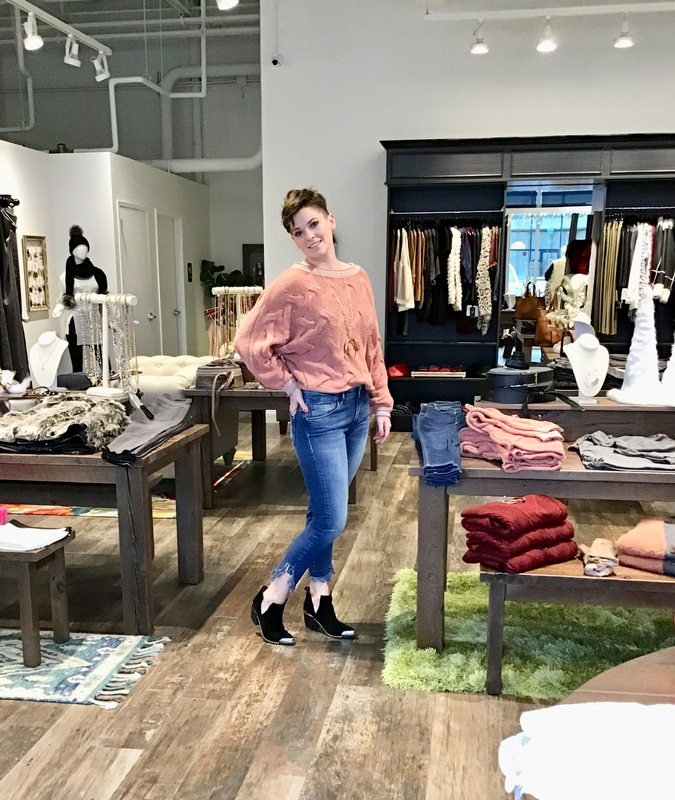 Let us here at Classen Curve serve as your personal stylist. We offer the most up-to-date styles in women’s clothing and accessories. We can create a look you’ll love for any occasion. Try us out for Valentine’s Day and you’re sure to impress with the most stylish in women’s clothing. Copyright 2019 Scout & Molly's Classen Curve. All Rights Reserved.